The hottest console of the year, the Nintendo Switch successfully brought together mobile hardware and console hardware together. There's no mistaking that the Switch is a gaming device and it doesn't feel like a tablet forced to be a gaming device. Although the list of games isn't extensive, there are already some worthwhile games that will occupy plenty of your time. We'll have to wait and see if it ultimately develop a large library of games. This is Nintendo we're talking about so there's always a risk of a great gaming console limited by low volume of titles. The initial set of games we got are: Mario Odyssey, Mario Kart and Pokkén Tournament. Beyond the quality of the Switch, I liked that it doesn't require being online to play. It was a smart design choice that the Joy-Cons, the controllers on the Switch, can each be used as a mini-controller. For a gaming console that emphasizes local group play, providing two controllers is a must. Because these are normally attached to the Switch it makes transporting them easy. It was also nice that it comes with the holder that let's your remove the Joy-Cons and turn them into a more normal controller. I like the idea of a dock that you can just drop the Switch into to charge and play on the TV. However, the design of the doc is poor, unnecessary and feels like it was designed to get you to buy additional peripherals. Not only is the Switch a mobile device, it's also a gaming console that's likely to be played by kids so it's likely that many parents will be putting it in some sort of case to protect their $300+ investment. Any type of protective casing will prevent it from being able to be docked so if you'll be frequently be moving between the TV and being mobile, you'll find yourself taking off the case frequently and/or unplugging the charger from the dock and connecting directly to the Switch to charge. It's probably enough of an inconvenience to get people to buy a separate charger which Nintendo charges $30 and it doesn't allow you to play on the TV. Because it's mainly going to be played by the kids, I got it a screen protector and protective case for those times when they inevitably drop it by accident. 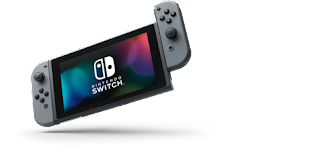 The screen protector might be worth while to get in general as there's been reports of people scratching their screen when they put their Switch into its dock. Nintendo is very Apple-isque in what they charge Switch peripherals. The charger is $30, the dock is $90, the Joy-Cons are $90 a pair (with another $24 for the Joy-Con charging station), the pro controller is $70... you get the idea. The Switch is a great console and is definitely appealing to young and old gamers alike, but because of the cost I would hesitate to recommend it if you're buying it mainly for young kids. 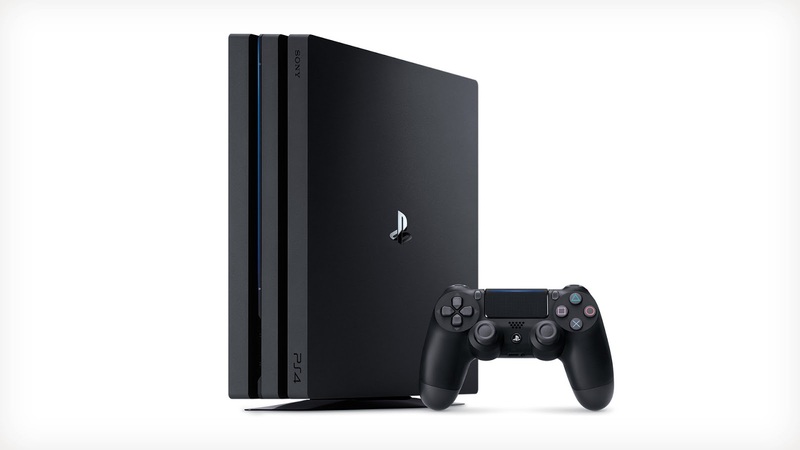 Getting a Playstation 4 is hardly unusual. It's the most popular of the current generation of video game systems. The choice of getting the Pro (which goes about $100 more then the standard Pro) was because of its 4K ability which is only useful if you have a 4K television. The game that we're the most excited for for the PS4 is the Final Fantasy 7 Remake, but when that'll every arrive is anyone's guess so Nier:Automata is our first game. Additionally, we took advantage of this year's Black Friday sale for the a 12 month subscription to Playstation Plus which offers free games each month for the PS3, PS3 and Playstation Vita (free to play while you're a subscriber so it's not free to own). To keep the aesthetics around the TV clean, I concealed it behind the TV using a wall mount. The controller connects through a cable or bluetooth so it doesn't require a direct line-of-sight. The downside of the Pro is mostly with the controller lacking a replaceable battery. It charges through micro-USB cable normally plugged into the console, but with it on the wall that would leave the controller dangling. I'm using a phone charger to charge the controller for now. Getting a Vita might come as a surprise. It's not a new system having been launched a few years ago. Sony don't really promote it anymore and it's no longer produced outside of Japan anymore so why would anyone still get a Playstation Vita? JRPGs -- The Vita has a surprising large library of games (not just quantity but also quality), but if you're a fan of Japanese style role playing games (JRPG) then the Vita offers the widest variety of JRPGs from AAA titles to lesser known third parties to indies. PS4 (and PS3) Owners -- If you have a PS4 or PS3, the Vita is a great addition. It can operate as an additional controller, but more exciting is that you can stream your PS4 game to your Vita and play directly from the Vita and view through its screen. One downside of the Vita is that it uses a proprietary memory card that is fairly expensive. Also since it was release a few years ago, it still uses micro-USB for charging. New games continue to be released for the Vita supported mainly by third party developers and there are usually one or two free Vita games each month through a Playstation Plus subscription. RetroPi is not itself a console, but a packaged version of Linux for the Raspberry Pi that has emulators setup. 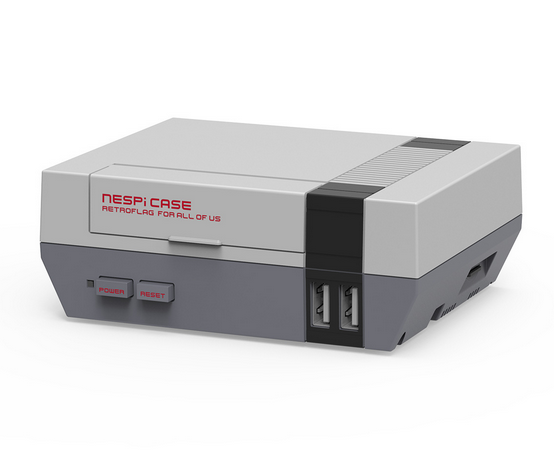 Combine it was a retro style case and controller and you have a console that can play NES, SNES, Atari, Playstation and other console games. I talk more about it here.